Smart Engineering Keeps Ahead of the Bad Guys. 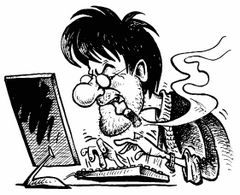 KeyScrambler's innovative method focuses on protecting the user's keystrokes as information is being typed in on the computer keyboard. Advanced cryptographic algorithms are used to guarantee the strongest encryption possible. KeyScrambler has proven to defeat both known and unknown keyloggers and keylogging malware, even on security compromised computers. Small Footprint; Vast Protective Range. 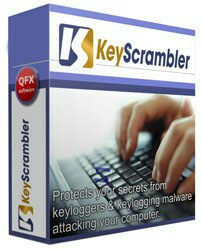 KeyScrambler (file size ~1.4 MB) takes very little resources to run and requires no user effort. And yet it protects user keystrokes in all major browsers and up to 240+ standalone apps against keylogging. KeyScrambler (the Premium edition) also encrypts the user's login credentials in Windows workstation, Active Directory Domain, Windows Vista’s User Account Control prompts (UAC), and all of the Windows Store (Metro) Apps. It effectively cuts down on system-wide data breaches and network intrusion. Broad Compatibility; Unique Position of Defense. KeyScrambler works seamlessly with most security programs and authentication methods such as tokens and smart cards. Because the detect-and-remove method of traditional anti-virus, anti-malware programs is still unable to effectively deal with new, unknown malware, KeyScrambler's capability to effectively foil attacks by new, unknown keylogging malware makes it an invaluable tool for online information security.